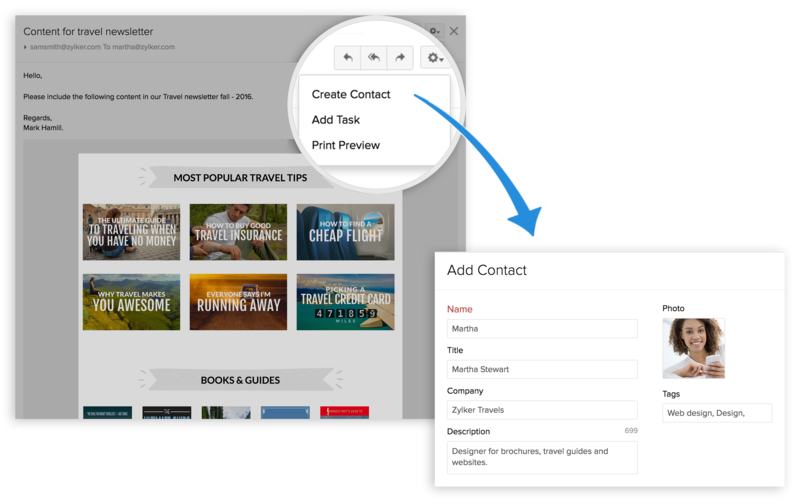 Zoho Mail + Zoho ContactManager = Better Productivity! View the history of emails with each contact, convert emails into tasks and do much more. 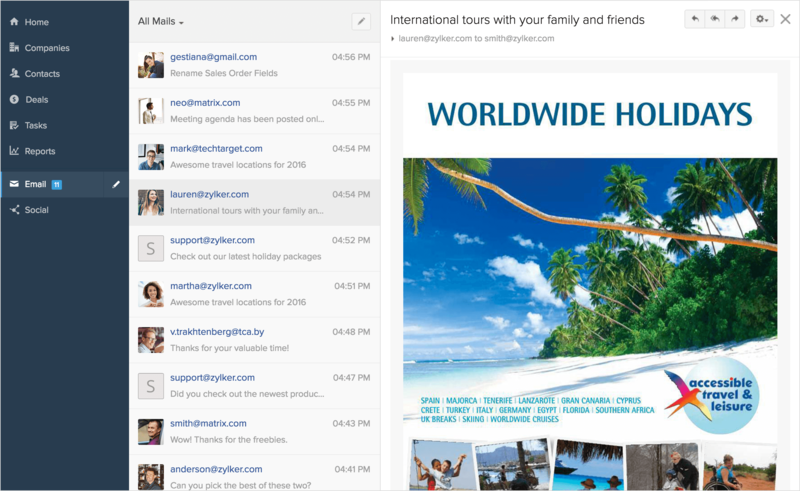 You love Zoho Mail for what it is - a simple, clean, and secure mailbox. Now get all the benefits of Zoho Mail while using the contact manager you've come to know and love. 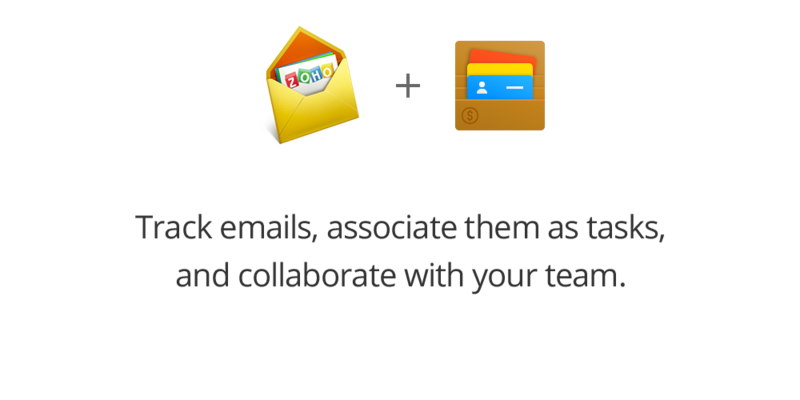 Integrate Zoho Mail with Zoho ContactManager and manage your contacts and their conversations in a single place. Your new inbox, always organized and updated. Our user interface is designed to build relationships, not boundaries. Zoho ContactManager helps you to cut through the clutter by allowing you to compose, reply to, and forward emails in a clean, simple UI. Keep your customers close. And your emails closer. Remember that day when you couldn't remember the last time you spoke to your customer and had to dig through your mailbox for that one elusive email? That's why we mapped the email thread of each conversation to its appropriate contact or company. All you have to do is click on any contact, and check out the Email Tab. Pull the plug on manual contact entries. Zoho ContactManager allows you to select a set of folders from Zoho Mail and automatically convert any email you've received to those folders into contacts. Track incoming mail for contacts and tasks. 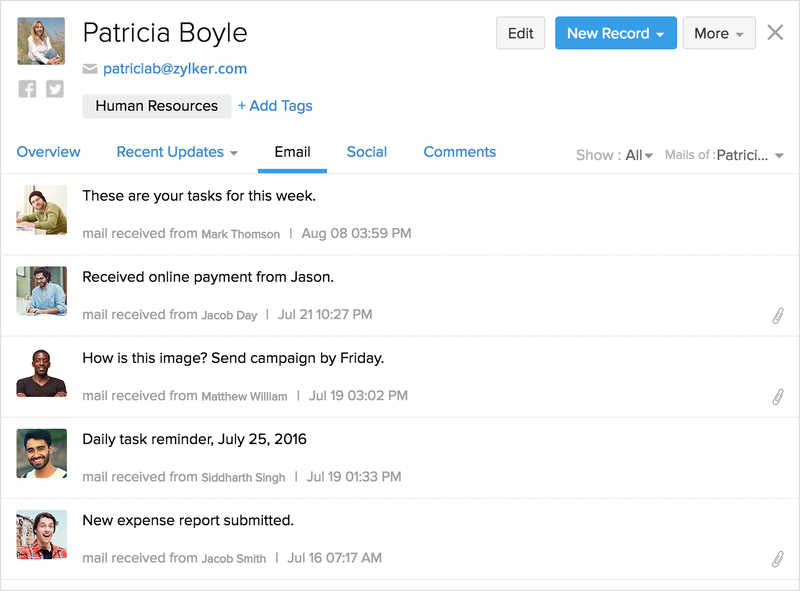 Add a contact or a task instantly from your mailbox in one click.